FOR three years Amanda was tormented by bullies, but over a decade later she is a shining example of the light at the end of the tunnel for those who are struggling. Amanda, who chose not to print her surname, was just 13 when the bullying began as she tried to make friends at her new high school in Warwick. Other girls would flick up her skirt and she was told she'd be bashed, which came to fruition one lunchtime. Amanda would cry in class because she didn't want to be at school and then the harassment drove her to receive special permission to spend lunchtimes at home. But at the age of 15 she found her "saviour". Amanda started a school-based training course in pharmacy, transforming her from a teenager who couldn't concentrate in class into a student with a passion for learning. "It was like a fresh start and from that point on onwards, that was my way of dealing with it," she said. "Finding something new to focus on, it's hard to put people behind you and you can run away from it but somehow it (bullying) still follows you that's why you need something to focus on." Amanda admits she didn't confide in her parents while she was being bullied and now as a mother of two, she understands how hard it can be to open up. "People don't go to their parents because they feel ashamed like they're letting their parents down," she said. "Parents are taking it hard because they don't know." Amanda said reminding children they had some- where to belong was important. "Telling them that you love them and them knowing you love them and giving them options and helping them find interests," she said. "That's something I'll do for my children." Amanda has since moved from Warwick and is now working as a legal secretary. But she has plans to study a bachelor in agribusiness, demonstrating the abundance of opportunity after school. For those who may be struggling with bullying, she urged them to stay strong. "There is light at the end of the tunnel and there's more people that care about you than you realise," she said. Warwick teenager Shay Leotta also suffered through bullying, scared to leave her own home after being punched and called names. She said standing up for herself helped, but also speaking to her parents. "They told me to smile and be happy and they went down to that school sat in the office and didn't move until something was done," she said. Miss Leotta said she is now working part-time and saving up to move out with a friend. FOR her 18th birthday, Shay Leotta gave herself a different kind of present. 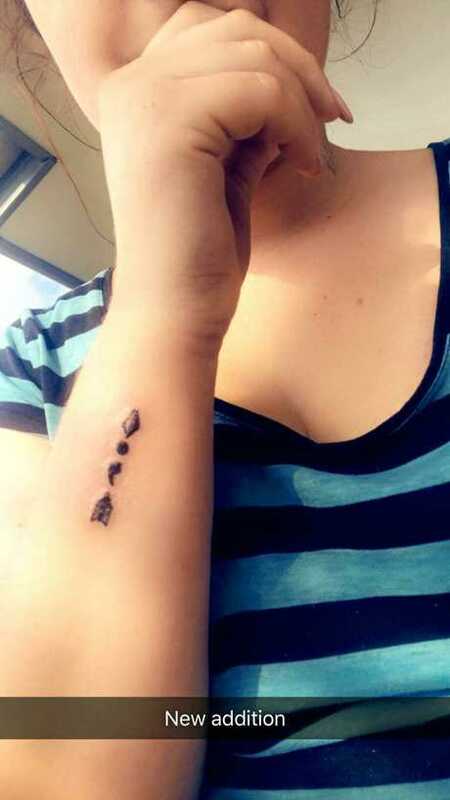 A tattoo of a semicolon inside an arrow now rests on her forearm, a constant reminder of her strength in overcoming terrible bullying in her teenage years. "At the age 14 I was bullied to the point I wanted to end my life. I came home from school every afternoon and just cry and scream to the point I would make my self sick," Miss Leotta said. Without her mother, Miss Leotta said she would not be here today, as her mum spoke to the parents of the bullies and also went to the police. The tattoo makes her smile as it reminds her she survived. "(I got the tattoo) To remind me I am strong and I got through it in the end, I just wish I could have helped Dolly," she said. 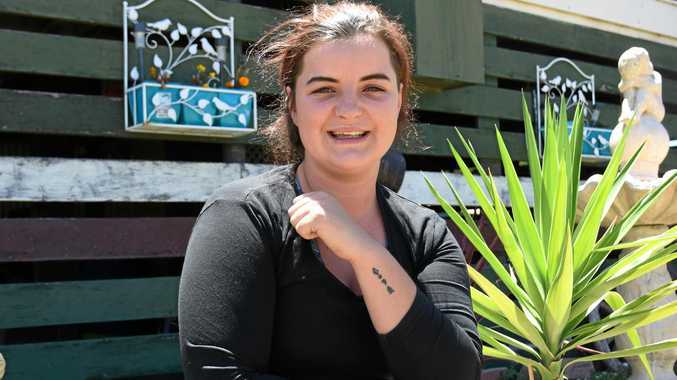 Miss Leotta said headspace helped greatly while she was struggling with her own mental health. She also urged others to speak to their family, as she believes they will always care. Better times lie ahead, she said, as bullying helped her focus on the positive people in her life and now she is happy. "Keep strong and keep on going even when it's hard. You will always pull through," she said. "Don't be afraid to ask for help. There are a lot of people who can help. "In the end, it will be worth it." If you or anyone you know needs support, call Lifeline on 131114, or Kids Helpline on 1800551800.